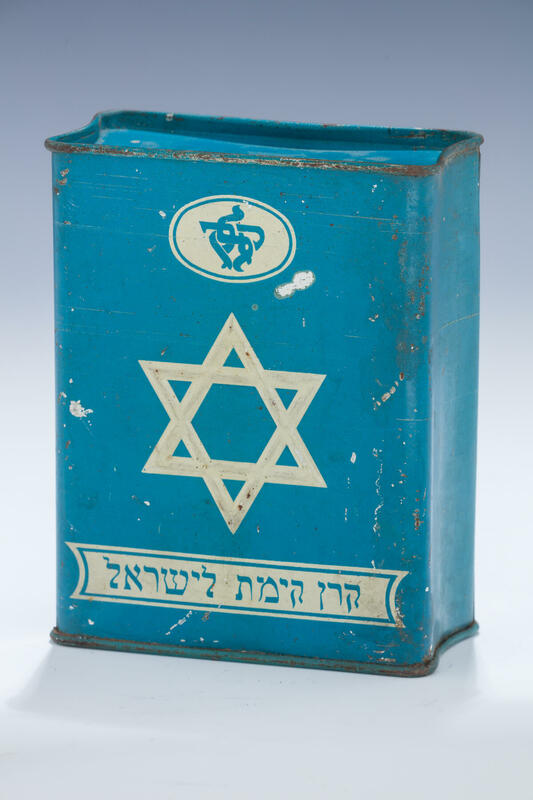 A LARGE TIN JNF COLLECTION BOX. Jerusalem, c.1915. Embossed on front with Jewish star and painted with KKL insignia in Hebrew. Marked made in Palestine. 4.7” tall.